The world of wedding hair accessories never seizes to amaze me! Whether you are a tradition bride with a classic veil, or a bride who wants to change things up with a fun headband (or both, in my case), there are endless options for your big day! But how do you decide which one is going to be best for you? I never pictured myself in a traditional veil growing up. But when I was trying dresses on for the first time, and the consultant asked me if I wanted to try a veil, I said sure! Why not? Well, at that very moment, something came over me and I instantly felt like a bride! Tears came to my eyes and I fell in love with the feeling this veil gave me! I knew that that the dress + the veil was the right choice for me! A couple of weeks later I saw this beautiful flower headband at the Mignonne Handmade Shop on Etsy. My inniatial reaction was “oh no, I already purchased my veil”. But then I realized that I would probably want to take my veil off after the ceremony – so here was my chance to wear the unique hair accessory I have always envisioned myself in! I am happy that I got to feel both traditional and whimsical on my wedding day. 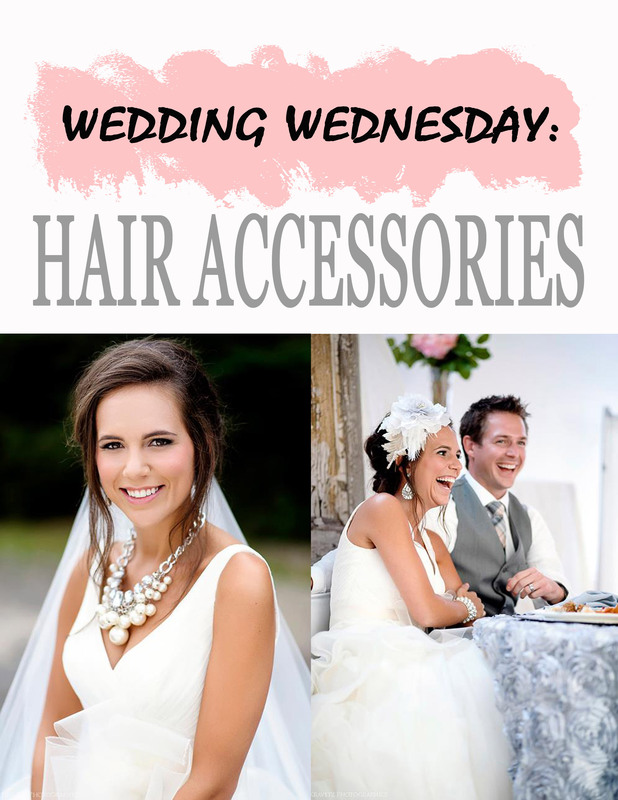 For all the future brides out there – what type of hair accessory do you plan to wear? Check out some of my hair accessory inspiration below!